A new musical comedy “in a league-table of its own” will be performed next month in aid of a charity that supports gay young people who are homeless. 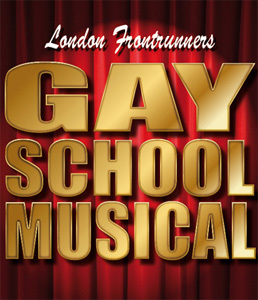 Gay School Musical is the latest theatrical extravaganza from London Frontrunners, a gay and lesbian running group, after their well-received Cinderella and A Christmas Carol. This year’s performance, on Sunday 9th November, is in support of the Albert Kennedy Trust, which supports gay, lesbian, bisexual and trans young homeless people. There will be two performances, at 7.30 & 9.15pm, at the King’s Head Theatre, Upper Street, London N1. The Albert Kennedy Trust was set up in 1989, after 16 year old Albert Kennedy fell to his death from the top of a car park in Manchester whilst trying to escape a car load of queerbashers. The Trust provides appropriate homes through supported lodgings, fostering and other specialist housing schemeSeand enables young people to manage independent living successfully.